Patch notes are now available. 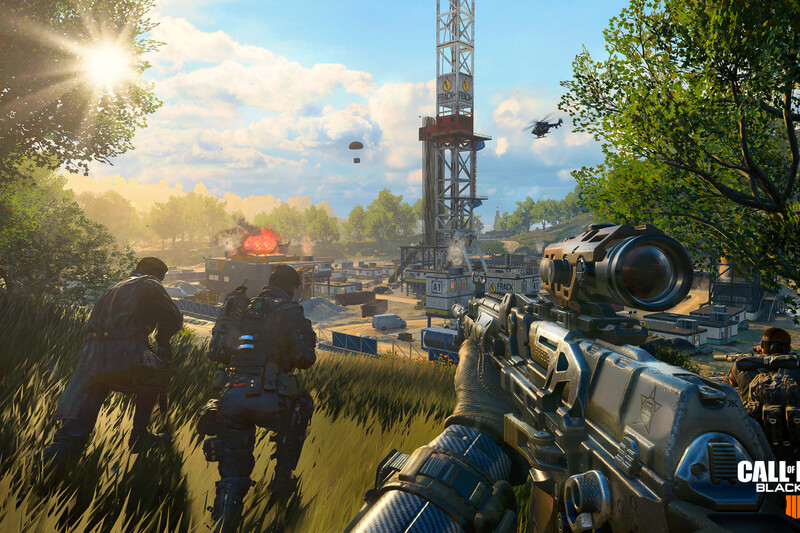 The latest update to Call of Duty: Black Ops 4 is live on PlayStation 4 and Xbox One. Black Ops 4 update version 1.12 can now be downloaded—it’s a 6.94 GB file on PS4 and 7.4 GB file on Xbox. Treyarch released the patch notes at 1:13pm CT, giving us insight into what is in the update. Related: When will League Play be added to Call of Duty: Black Ops 4? Various playlist updates, including Blackjack’s Gun Game. Bug fixes with Prophet, Ajax, and Ruin. Ambush Limited-Time Mode is live. Its weapons are limited to snipers, melee attacks, and launchers. The circle also constantly advances. All levels of armor have had their damage protection reduced by 15 percent. Level 3 Armor also no longer has resistance to explosive and melee weapon damage. Concussion Grenade has been nerfed, with its status effect duration, area of effect radius, throw distance, flash strength, and effect on opposing players all reduced. Cluster Grenade’s time to detonate has been increased, and its mini-explosions have been reduced in damage. MP 40, Grav, Daemon 3XB, SWAT RFT, and KAP 45 have been added to the Mystery Box. Various bug fixes involving game crashes and certain aspects of the game not working properly. The full patch notes are available on the Black Ops 4 subreddit.